Dylan Bosch four-peated as Big Ten Champion in the 200 butterfly. Watch it happen in this race video, courtesy of the University of Michigan. Indiana leads all Big Ten teams with 9 A finalists heading into the final night of action at the 2016 Big Ten Championships. What does Michigan stud sophomore Paul Powers have in store for the field in the 100 free after his 18.85 50 free two days ago? The Indiana Hoosiers hold top seeds in 3 of 5 events out of prelims on day 3 as they try to run down Michigan for the team title. 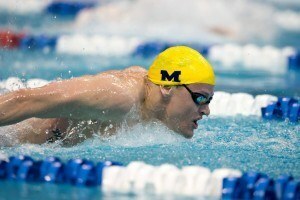 The Michigan men continue to dominate the men’s Big Ten, earning 23 scoring swims over 5 events on Friday morning. 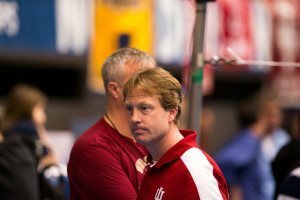 The final session of the 2016 Big Ten Championships is up at Purdue University Saturday night, with Michigan chasing its sixth consecutive Big Ten title. Dylan Bosch leads the way, looking for his third individual title and fourth consecutive 200 fly title. Bosch was the top qualifier out of prelims by over a second. Indiana holds top seeds in two events, with 200 free champ Blake Pieroni taking on a tough field including 50 free champ Paul Powers in the 100 free, and Bob Glover leading the 200 back. Purdue’s Marat Amaltdinov is the top 200 breast qualifier, with 100 breast champ Ian Finnerty lurking in third place. Keep refreshing this page for live, event-by-event updates of all the action from West Lafayette. Michigan’s PJ Ransford won his first career Big Ten title, going 14:36.61 to obliterate a great 1650 field. That time moves Ransford to #2 nation-wide, passing up Wisconsin’s Matt Hutchins, who led the NCAA for most of the regular season before taking second in this race. Hutchins was 15:00.80 – he was 14:38 mid-season, and figures to be more of a force at the NCAA meet next month. Ransford and Hutchins now sit 2nd and 3rd in the NCAA behind South Carolina’s Akaram Mahmoud. Ransford should have some time to drop at NCAAs as well, as tonight’s swim was about two seconds off his lifetime-best, put up at last year’s NCAAs. Ohio State took third and fourth with Brayden Seal (15:06.39) and Joseph Long (15:09.39). That’s big for the Buckeyes in team points, as they held a narrow lead over Indiana heading into this session, but didn’t qualify for as many scoring swims in the remaining events tonight. Indiana, though, swept places 9 through 12 to move past Ohio State in team points, now leading by 10.5. Michigan is comfortably in first place, 166 ahead of IU, and Minnesota is ahead of Wisconsin for fourth. Michigan made it two in a row, with Tristan Sanders rising up to take the 200 back win from the 4th qualifying spot out of prelims. 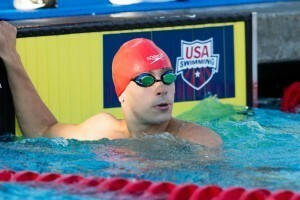 Sanders went 1:41.81 in finals, six tenths faster than his morning swim. The sophomore used a big back half to take the win, touching in just fourth place at the 100 wall. Top qualifier Robert Glover of Indiana missed his prelims time by four tenths and fell to second, just .06 behind Sanders in a touchout finish. Glover was 1:41.87 – he actually led Sanders and sat second at the 100 turn, but fell off the pace a bit in the third 50 and couldn’t recover in time to reel Sanders back in. Wisconsin’s Austin Byrd had the early speed, leading at the 50 and 100 marks, and he held on for a share of third in 1:42.09, about four tenths off his prelims swim as well. Ohio State’s Trace Thomas, who also pushed the lead pack early, tied Byrd for third place. Michigan’s Aaron Whitaker, the fastest returner from last year, missed the A final this morning, but did put up the fifth-best swim of finals, going 1:42.35 to win the B final. Though Michigan still leads handily, the twin battles behind them both flip-flopped their orders. Ohio State now leads Indiana by 9, while Wisconsin has passed up Minnesota for fourth place, leading by 55.5. One event after falling behind Ohio State for second place, Indiana struck back with a vengeance, coming up with a 1-2-3 sweep of the 100 freestyle behind sophomore Blake Pieroni. Pieroni was 42.27, adding a second title to his win in the 200 freestyle last night. Anze Tavcar, fourth in that 200 free, went 42.58 for second and Ali Khalafalla earned a share of third place, tying Paul Powers of Michigan at 42.73. Youth abounds at the top of this field – Pieroni, Khalafalla and Powers are all just sophomores, and Tavcar is a junior. Pieroni, for his part, was just two tenths off the Big Ten record set by Penn State’s Shane Ryan in 2014. 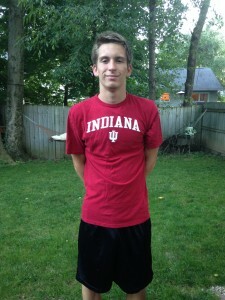 Ryan is redshirting his senior year in an attempt to make the Irish Olympic team. Wisconsin junior Cannon Clifton also got under 43, taking fifth in 42.87 as the Badgers continue to hold fourth place. Indiana rebounded to blow past Ohio State for second, holding that spot by 58.5. Purdue’s Marat Amaltidinov held up his top-seeded prelims swim, dropping another second in finals to go 1:52.67 for the Big Ten title. That’s a lifetime-best by a wide margin and ranks him in at #2 nationwide, pending results of the other conference championships this weekend. Indiana’s Cody Taylor came up with a big finals drop to go 1:52.70 for second place. 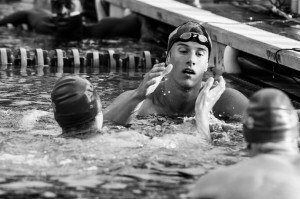 He passed up his teammates Tanner Kurz and Ian Finnerty, both of whom ranked ahead of Taylor coming out of prelims, with a two second drop off his morning swim. Also swimming well in the final was Minnesota sophomore Conner McHugh, who dropped 1.4 seconds off his lifetime-best to go 1:54.08 for bronze. 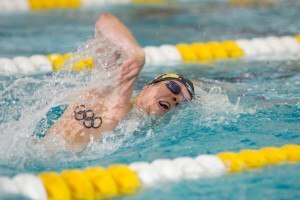 Both McHugh and Taylor moved up in big ways after placing in the B final a year ago; Taylor dropped more than three seconds off his 2015 Big Ten time and McHugh cut nearly two. Kurz was fourth overall, a tick behind McHugh in 1:54.19. Ohio State’s DJ MacDonald was also under 1:55 at 1:54.75, and Finnerty joined him with a 1:54.99 for sixth place. Indiana still leads Ohio State for second after placing three into the A final. Minnesota, meanwhile, placed two in the top 8 to pass up Wisconsin for fourth. Michigan’s Dylan Bosch won his fourth consecutive Big Ten title in the 200 fly, becoming the first man to four-peat that event in conference history. That’s an incredibly impressive stat, given some of the big names to win three consecutive Big Ten 200 fly titles over the years: Tom Malchow (1997-1999), Davis Tarwater (2004-2006) and Dan Madwed (2010-2012). Bosch joins Michael Troy (1960-1962) and Mark Spitz (1970-1972) in sweeping the Big Ten title every year he was eligible – those two won three titles apiece in the days before the NCAA allowed freshmen to be eligible to compete on their varsity squads. Bosch’s run also give Michigan seven straight Big Ten titles in the event, with Madwed’s three coming before Bosch’s run. Michigan’s Evan White made it a 1-2 punch for the Wolverines who are pretty well into their victory lap as a team at this point. White was 1:42.36, just touching out Indiana freshman Vinicius Lanza (1:42.38) for silver. Ohio State’s Chim Ling topped Indiana’s Max Irwin for fourth, 1:43.55 to 1:43.71, as those two teams continue to jockey for second overall. IU has pulled ahead by 74.5 points with just two events to go, but the double-point 400 free relay means the spot isn’t technically wrapped up yet. Meanwhile Wisconsin leads Minnesota by 1.5 points for fourth, with Purdue about 128 back in sixth. Ohio State’s Colin Zeng wrapped up his second diving title of the year, scoring 498.95 points to win on platform. After winning 1-meter and taking second on 3-meter, Zeng leads all Big Ten divers in total points. Minnesota swept second through fourth, with Manny Pollard leading the way. 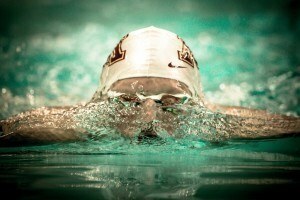 Pollard scored 416.00, Dylan Zoe 391.20 and Matt Barnard 387.15 in a big scoring event for the Golden Gophers. Alan LeBlang was also in the final, taking 8th. Ohio State’s Stephen Romanik was fifth with 365.70 as the Buckeyes also scored well in diving to close the gap on Indiana. The Hoosiers now lead by just 1.5 points in the race for second, meaning whichever team finishes higher in the 400 free relay will earn runner-up honors. Minnesota used its big event to officially wrap up fourth place, with Wisconsin and Purdue in tow. Michigan, of course, has sealed its win heading into a 400 free relay it has won three years running. Indiana won the 400 free relay to clinch second place as a team, breaking a pool record and coming within half a second of the conference record set by Michigan last year. Blake Pieroni led the way, following up his individual 100 free title with a 41.64 anchor leg to power away from Michigan late. Anze Tavcar led off in 42.83, the second-best leadoff split of the field, and Ali Khalafalla was 42.66 on his leg. Breaststroker Ian Finnerty rounded out the relay in 43.38 as Indiana went 2:50.51. Michigan led after the leadoff split, with Paul Powers going 42.82. though they couldn’t hold off Indiana, they still topped the rest of the field with ease, going 2:51.43 with a 42.47 anchor leg from Anders Nielsen. Ohio State got a 42.92 leadoff from Matt McHugh to go 2:52.03, and Wisconsin was 2:52.69 on a 42.86 anchor leg from Ryan Barsanti. That closed out a 6th-straight Big Ten title for Michigan, as the Wolverines won by 169.5 over Indiana. IU passed Ohio State late for second, with Minnesota third and Wisconsin rounding out the top 5. Not to take away from Bosch’s accomplishments, but Troy and Spitz wouldn’t have been able to compete for four titles, as freshmen were ineligible until 1972.